We’re planning to refurbish the existing amenities building at Malabar Junction and improve the surrounding landscaping. We recently asked for your ideas on what you’d like to see and we’ve incorporated your feedback into the design. During the consultation you told us that the following is important to you: Improved landscaping, improved lighting and ventilation, disabled access, bike racks, replacing fixtures, soap dispensers, rubbish bins and CCTV. We’ve listened to your feedback and incorporated these ideas into the plan. The plan is to create a fresher and more attractive facility with more landscaping and improved access to the building including new paths and surrounding shrubbery. The exterior walls will be maintained, but the interior will be redone and will include new female, male, ambulant and accessible toilets. The roof will be raised and replaced to improve ventilation and natural light. 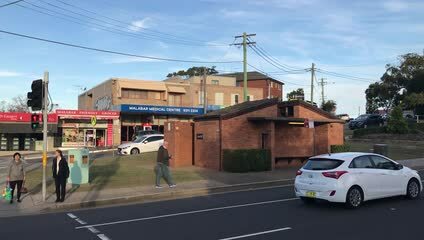 Posting your comments headed "Malabar Junction Toilet Upgrade" to the General Manager, Randwick City Council, 30 Frances Street, Randwick NSW 2031. The project is part of Randwick City Council’s Our Community Our Future program. Consultation period: 20 March to 16 April 2019. Share your ideas on how we can best upgrade the toilets and surrounds. Based on community input, initial concept plans developed. Concept plans on public exhibition for community feedback. Consultation is closed and submissions are being reviewed.